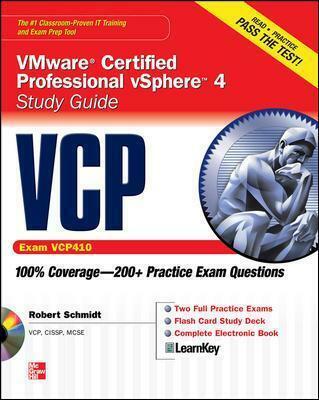 The Best Fully Integrated Study System AvailableWith hundreds of practice questions and hands-on exercises, VCP VMware Certified Professional vSphere 4 Study Guide covers what you need to know--and shows you how to prepare--for this challenging exam. Rob Schmidt, VCP, MCSE, is a network engineer with more than 15 years of experience in information technology. He has worked as a consultant on a number of large virtualization projects and is an active participant on the VMware community Web site.